Fall is here! Try our apple pie ice cream; its cinnamon and apples flavors will get you into the fall spirit! In a medium bowl, whisk to combine milk, sugar, Apple Pie Artisan, and salt until dissolved. Stir in the heavy cream and Madagascar Bourbon Vanilla. Cover and refrigerate a minimum of 2 hours, or overnight. 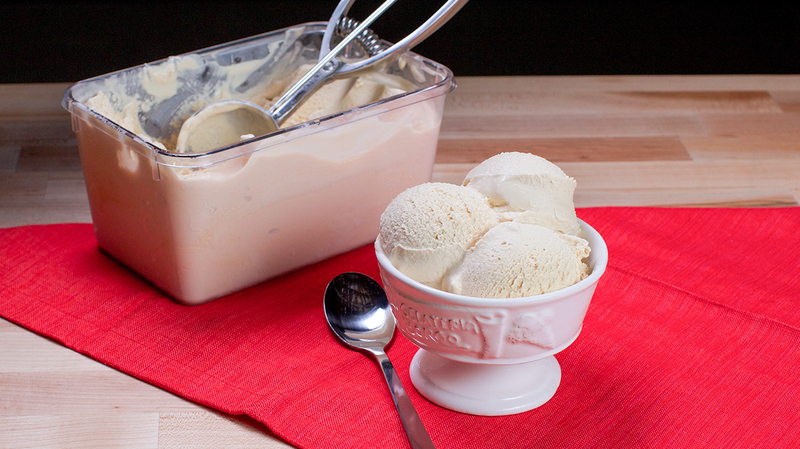 Pour the mixture into the mixing bowl of your ice cream maker. Turn unit on and let mix until thickened, about 50 minutes. The ice cream will have a soft, creamy texture. If a firmer consistency is desired, transfer to an airtight container and place in freezer for about 2 hours.